As part of our Cooking with Kids campaign, we asked a number of our chefs to share memories of the food they loved when they were growing up. 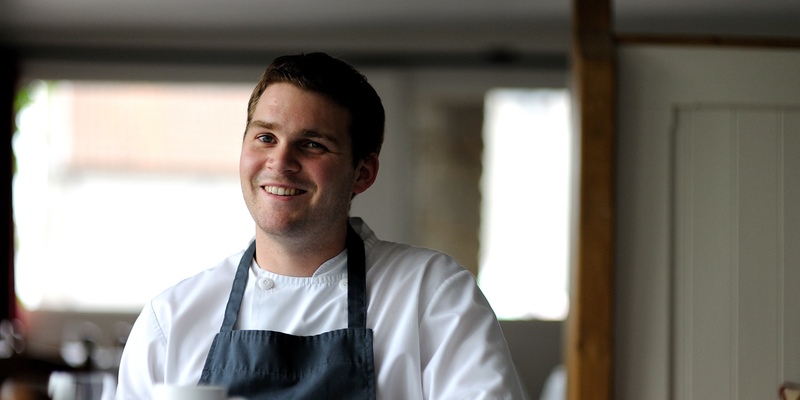 Josh Eggleton shows how childhood sweets & treats still feature in his playful cooking today. Josh Eggleton’s career started at an early age. He began working at his local chippie when he was only 15. Becoming a Gordon Ramsay Scholar in 2003 he took in the culinary cultures of Sicily, America and France. After his gastronomic travels and picking up food influences from far and wide, Josh returned to his family home of Chew Magna near Bristol to transform the two century old pub The Pony & Trap’s kitchen into what it is today. He acquired pub’s freehold in 2009 and was shocked to win his first Michelin star at 27 after only a few years of being head chef. Josh’s menus at The Pony & Trap focus heavily on local and seasonal ingredients. But it’s thanks to a strong emphasis of growing up with good home cooked food that traditional ‘pub classics’ like fish and chips and burgers also make an appearance in the lunch menu. “Fish and chips was one of my favourite dishes as a kid”, says Josh, “At The Pony & Trap, we triple cook our chips for the best flavour and crispy texture with fluffy insides”. Josh cites his father as being the biggest influence on his cookery today. ”I’d always watch my Dad cooking every Saturday and preparing meals for the week ahead. It was simple things like spaghetti bolognese and quiche, but I learnt that once you master these dishes it really sets you up for the future”. Fish and chips was one of my favourite dishes as a kid", says Josh, "At The Pony & Trap, we triple cook our chips for the best flavour and crispy texture with fluffy insides. Josh’s grandparents also helped him develop a love of cookery from an early age. ”Some of the first things I remember cooking are Victoria Sponge and an upside down cake, which I used to make with Nan and Grandad. In fact because I was cooking them from such a young age, I actually opted out of cookery classes at year 10 when I was a school as I thought I already had cakes well and truly under my belt”. Josh has fun in the kitchen teaching his young cousins how to cook. ”They love making pasta , hand rolling pasta dough and preparing tagliatelli”. Although Josh opted out of cookery at school, he really believes in the importance of cookery in children’s educations. He’s shortly returning to his old school to give cookery demonstrations and career advice to year ten and eleven students. “Cooking should be part of the national curriculum and essential to education, not just a hobby or a nice to have. I hope to show that children can learn a lot by volunteering to work in local restaurants. Not only will they pick up cookery skills but also experience at front of house duties and time management”.